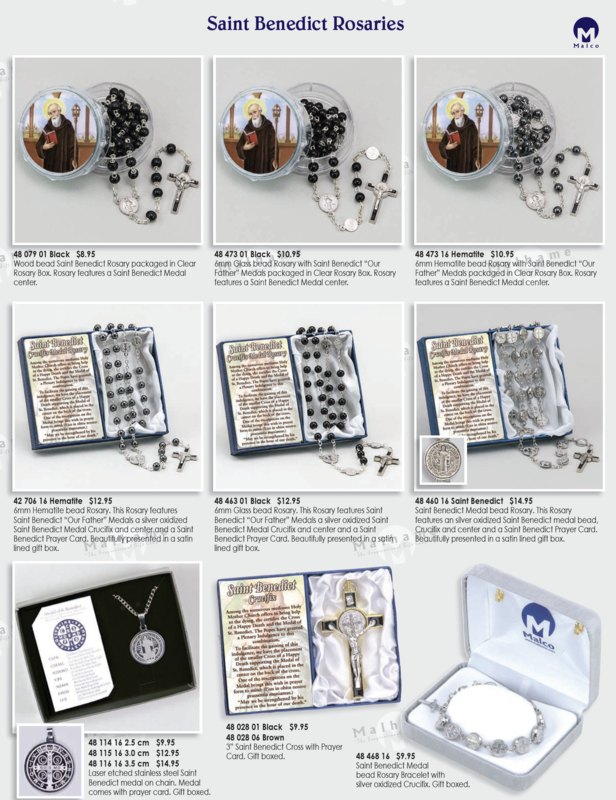 features a Saint Benedict Medal center. Crucifix and center and a Saint Benedict Prayer Card. silver oxidized Crucifix. Gift boxed.